All Medina homes currently listed for sale in Medina as of 04/22/2019 are shown below. You can change the search criteria at any time by pressing the 'Change Search' button below. If you have any questions or you would like more information about any Medina homes for sale or other Medina real estate, please contact us and one of our knowledgeable Medina REALTORS® would be pleased to assist you. "Gentlemen's Ranch sitting on a beautiful 137 ac setting amongst the hills. Steps away to a great swimming hole on the North Prong of the Medina River. 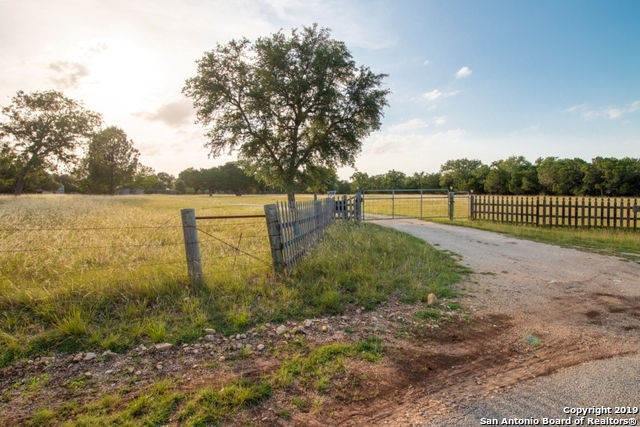 8 miles past the town of Medina to your private gate, not too far from San Antonio. Panoramic views from front porch, back dropped by a huge hill you own. Newer 3 bdrm/2 bath main home, w/ additional bed & bath apartment over garage/barn. Cultivated food plot, small tank. Equipment pole barn. Turnkey Wildlife Exempt. Lots of wildlife. Meticulously"
"VERY rare opportunity to own an AMAZING Ranchette w/SOARING VIEWS sitting on TOP OF THE WORLD in the BEST LOCATION IN OUR BEAUTIFUL TX HILL COUNTRY Custom built, 3bdrm/2bath + 3 car/truck over-sized w/2 doors garage/party barn was masterfully built by hill country craftsman David Burger. Extensive flagstone & concrete flatwork/gorgeous landscaping surround both structures. A HUGE wraparound custom viewing deck w/masonry built 2 story FP. 2bdrm/2bath guest trailer. BIG RED BARN w/2-3 stalls, wor"
"WATERFRONT-LIVE WATER-WALLACE CREEK ON PROPERTY. Strategic landscaping perfectly placed trees, shrubs, & plants to enhance 10 acres in Medina. 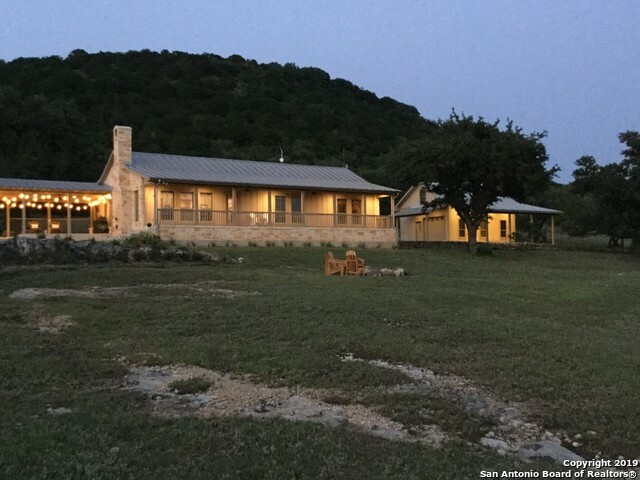 16 miles from Kerrville provides a serene environment where planned paths, gated front entrance, property/horse fencing, barn w/stalls & tack room, & he/she shed allow privacy, relaxation, gorgeous views, multiple bird species, all less than 25 minutes from Kerrville amenities. 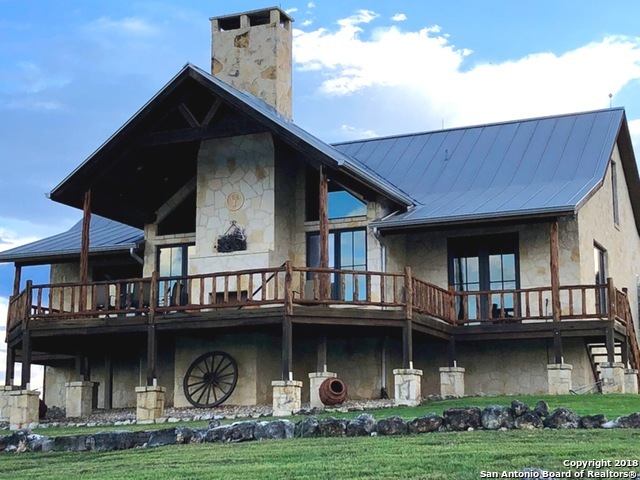 Wrap around front porch, patio areas placed to enjoy the outside, horse ready,"
"Lovely Country Home on 10.3 acres in the Texas Hill Country. 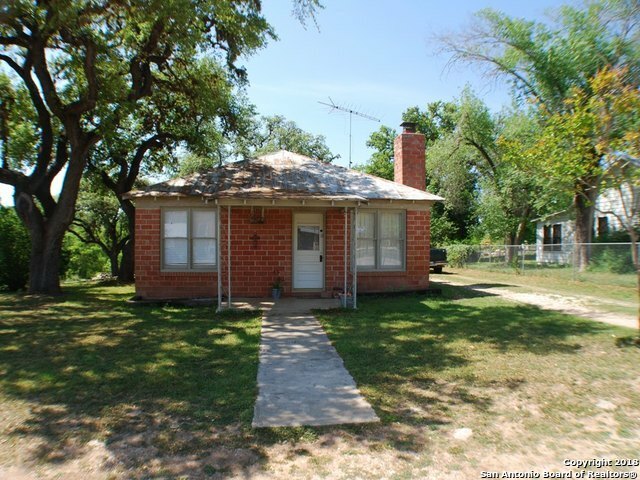 3 bedrooms & 2 baths w/ detached shop/office bldg. Home Features: Corian countertops, wood & ceramic tile floors (no carpet), newly tiled walk in showers & mstr bath remodeled 2yrs ago & built in gunsafe. Outside features: guest quarters/workshop/office, nice storage building & separate workshop, chainlink fenced yard & garden high fenced, covered patio BBQ area, well house & 2nd septic w/ electric & water for RV. 10 Great Acres & Hunt"
"Looking for Quiet Hill Country Living?Here it is! Great town to call home only 30mins from shopping and hospitals! This CHARMING home features:detached 1bed/1bath GUEST SUITE, garage w/storage*21x16 storage shed*outdoor shower*flagstone patio w/fire pit* Arbor covered BBQ covered front and back porches*great long range VIEWS of distant hills*main home has 3 bedrooms, plus formal dining w/closet*lg master suite w/vaulted ceilings and great walk in shower*Kitchen w/ granite counter, double oven, "
"Vacation Rental Awaits! This property features a beautiful 1122 sq ft, 2 bdrm 1 bath home and 3 additional rent houses w/ a 5th space complete w utities. Approximately 244 ft of Hwy 16 frontage and over 350 ft of frontage on the Medina River. 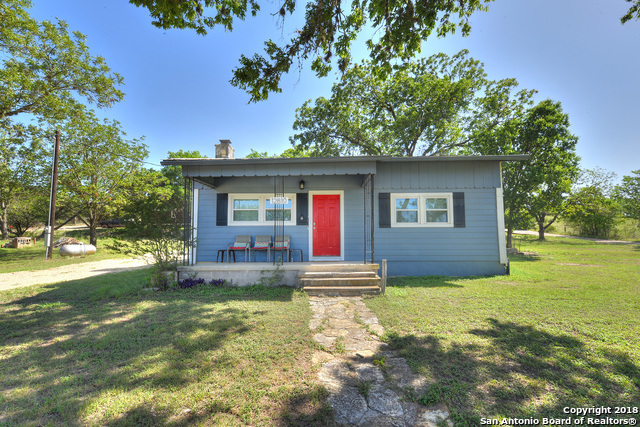 Whether you want to retire in the home and let the rental properties supply an income or you want to rent out this home as an AirB&B and visit to float the Medina River; this property has desired potential! The home was completely rehabbed in 2014. Tons of "
"2 homes on 1.229 acres fronting on the North Prong of the Medina River with 178' of river frontage in the quaint town of Medina, TX. Both homes located out of the flood plain and lots of additional room for the addition of rentals. Brick home is 2 bed/1bth with 1114 sqft. Second home has 1 bed/1 bath with 528 sqft and has a large screened in porch. Gentle slope down to the river.Current rental income: 1bedroom $800.00 a month, 2 bedroom $850.00 per month." "Affordable Brick home in the Heart of Medina. 3 Bedrooms & 2 baths, 1615 sq. ft., all tile, no carpet, freshly painted, w/ New Kitchen counters & tin stamped backsplash w/ under cabinet led lighting & recently installed standing seam metal roof. Bathrooms have been updated w/ new shower stalls & counter tops resurfaced in the master suite. Home features: fireplace, a huge laundry room, pocket doors, a large covered back patio & a small chain-linked fence dog run. 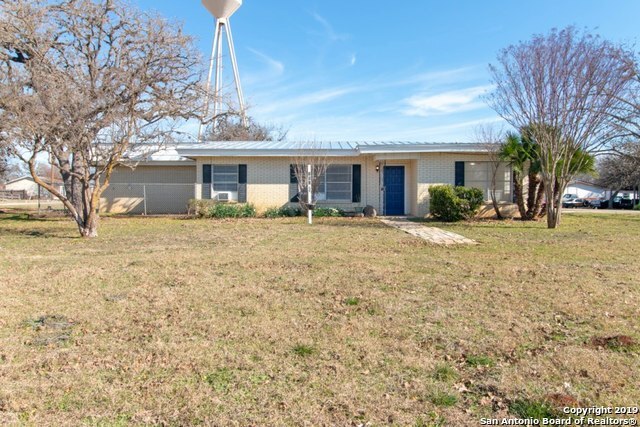 Walking distance to Medina ISD!" "Motivated Seller! Cute, Ready to move in and priced ready to sell 3/1 home in the town of Medina. Brick front with Almost new Metal roof, 1 year old Central AC/Heat, Extra Attic insulation installed, NEW high quality laminate flooring with a little over .3 acres. It has no restrictions. There are 2 water meters that, so you could potentially build another home on the corner! Yard is nicely landscaped, with chain link fence, Walking distance to center of Medina. Barn for your horse/animals if y"